FSI SID&GP | Are there innovations in Russia? And what are the concerns of drug manufacturers towards pre-clinical trials? Front page » News » 2019 » Are there innovations in Russia? And what are the concerns of drug manufacturers towards pre-clinical trials? 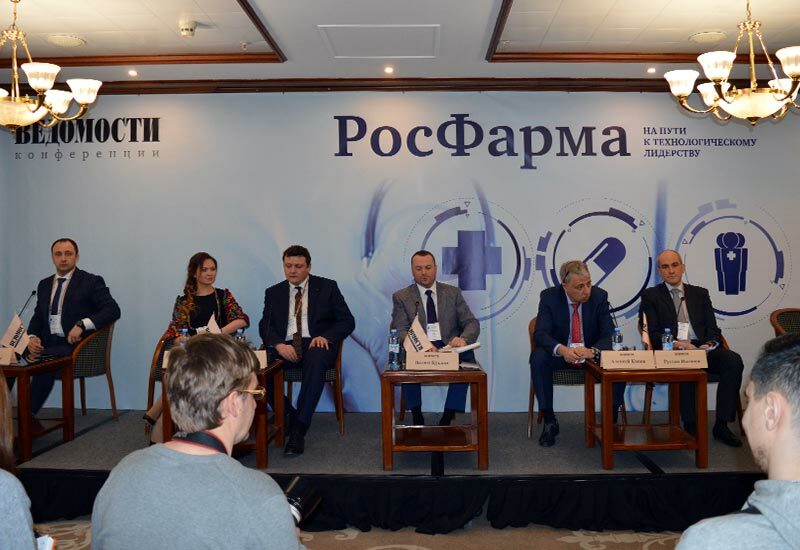 The topic of pre-clinical trials is today of immediate concern for drug manufacturers in Russia who are aimed at exporting their products and offering the global and the domestic market effective and safe pharmaceutical products that are able to extend the lifetime of Russian citizens up to 78 years. More than 200 research institutes and 70 test centers in Russia are working on development of innovative drugs and are conducting pre-approval pre-clinical trials. These are the figures which were presented yesterday by the Deputy Head of Good Practices Consulting and Audit Department of SID & GP Ms. Arina Selezneva who was a speaker at the R&D section within the «RosPharma» conference where representatives of pharmaceutical companies and regulators emphasized a low rate of domestic manufacture of innovative drugs in the country. By various estimates, they are less than 0.5% from all the projects invested to for the period of 10 years. «80% of pre-clinical trials within drug registration procedures are conducted by only 15% test centers, and more than 80% of domestic pharmaceutical products are exported to the countries having a lower level of good practices regulation. Very often, even such companies as BIOCAD and R-Pharm have to conduct very expensive pre-clinical trials abroad or repeat them, although they have already conducted such trials in Russia,» the expert said. The manufacturers believe that the reason for the need to repeat pre-clinical trials in the country the products are exported to is that the results of trials conducted in Russia are not recognized abroad, regardless whether domestic GLP accreditation is available or not. This may be rooted in the absence of harmonized regulating documents and an effective system for regulating the quality of pre-clinical trials in Russia, lack of Russia’s experience in conducting many types of trials, data falsification, which results in absence of trust towards Russian products by foreign regulators. Not less important is the absence of regulation and the requirements for the quality of laboratory animals, lack of their relevant species. For instance, as reported by Ms. Arina Selezneva, in Russia, there is only one nursery for primates used in trials of bioproducts manufactured. Besides, among other problems faced in pre-clinical trials, representatives of the pharmaceutical industry noted the absence of common harmonized requirements for conducting such trials – there are several agencies regulating the process of pre-clinical trials, but still three is no common GLP system established. The opinions and suggestions that developers, researchers, manufactures and regulators should come together for elaborating a consolidated and effective solution for the problem have been recently being continuously sent to SID & GP, as the expert said.